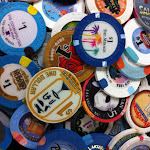 Over the course of time, religious philosophers have speculated what one will see when they arrive at the pearly gates. Most have described it as a boring, drafty space populated by clouds and 24/7 reality TV. I’ve always thought these concepts of eternity sounded boring and unappealing. This week, once again, Vegas has given me hope for something better. 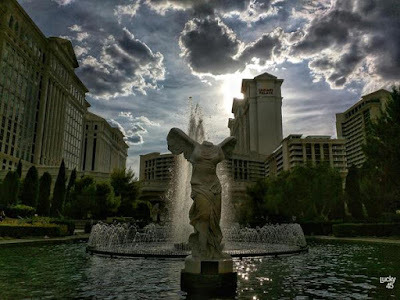 @_Lucky45 shared a picture of what paradise, should it actually exist, must be like, in the form of Caesars Palace. A vision of a celestial kingdom I can get behind. Never has the hereafter been so dreamy, inviting you with classic sculpture, water features and the promise of a better life, set in an apocalyptic ethereal setting. If beer is proof that god loves us and wants us to be happy then surely this picture challenges conventional wisdom and confirms that, while it might not be Caesars Palace, clearly his kingdom is in Las Vegas.